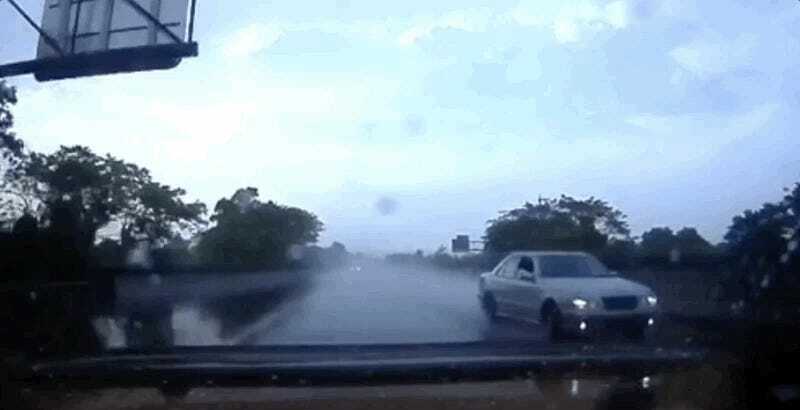 Mercedes-Benz has always engineered its Very German Power Saloons, AKA “sedans,” with a balance of luxury and performance, but they’re only as capable as the shoes they wear, as this video of one spinning out on the highway proves. Here’s what looks to be a W210 E-Class, and if the caption is correct and it is an AMG, it would probably be an E55 AMG that had around 350 horsepower when new. But Mercedes couldn’t have done anything to prepare this E-Class for what it would face nearly 20 years later, instead relying on whatever descendant owner to make sure its tires were fresh enough to withstand the punishing deceptiveness of... puddles of water on the highway. 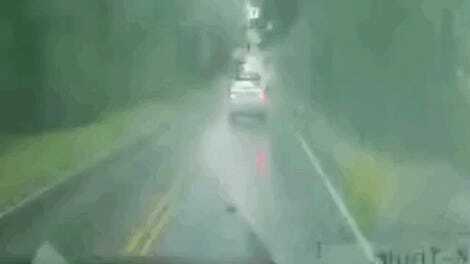 Check your tires folks, or you could be caught hydroplaning on the highway by a person that will roast you on the internet. Nobody wants that. Fortunately, it looks like the Mercedes driver managed to get out of this unscathed, which is the best possible outcome.